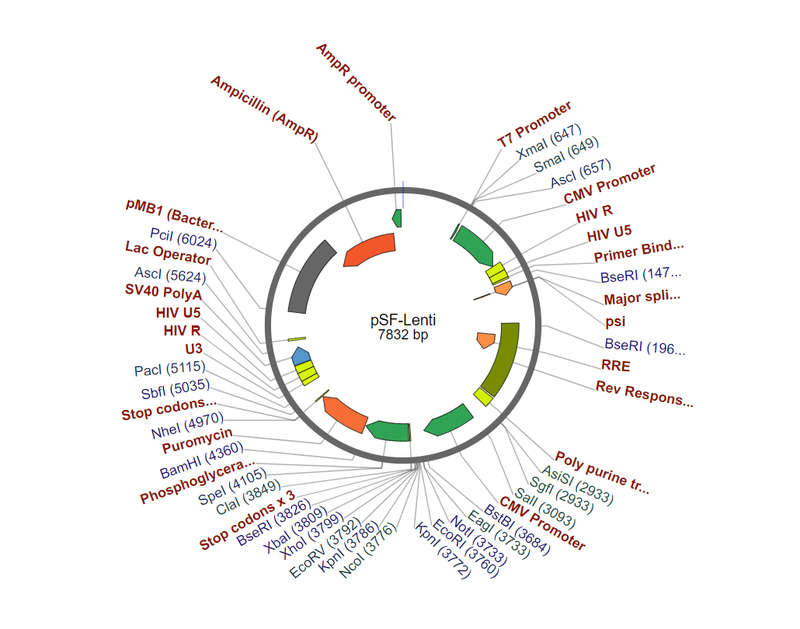 splitting the components necessary for virus production across multiple plasmids. For convenience Oxford Genetics has combined the packing plasmids into a single ready to transfect packaging mix. containg the gene of interest to produce high titer Lentivirus particles. ExceLenti™ Packaging Mix - A ready to use 3rd generation lentivirus packaging mix reagent containing an optimised packaging plasmids at carefully-defined ratios for maximum vector production. Simply add your plasmid containing lentivirus genome encoding a gene of interest according to the protocol below. Lentivirus Genome Plasmids - 19 Compatible plasmids containing lentivirus genome designed for use with the ExceLenti™ Lentivirus Packaging Mix. Cloning your gene of interest is simple thanks to our optimised SnapFast™ plasmid design.